In 1793 France declared war on Great Britain and Abercromby resumed his army career, He was appointed a brigade commander in the the army in the Netherlands and took part in a number of actions. 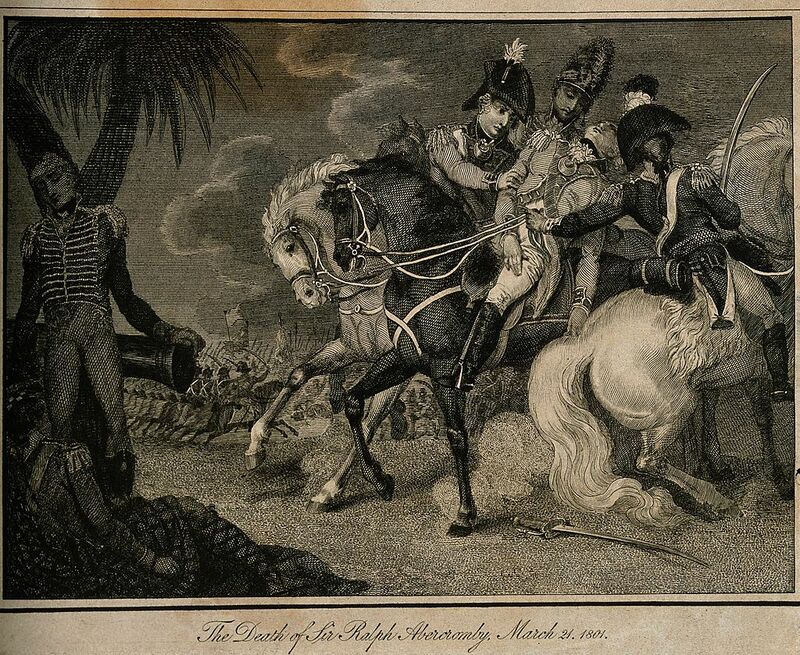 He was knighted in 1795 and the following year was appointed Commander of British forces in the West Indies. During his command several islands were captured by the British including Grenada; St Lucia; St Vincent and Trinidad. Less successful was the attempt to capture Puerto Rico in 1797. 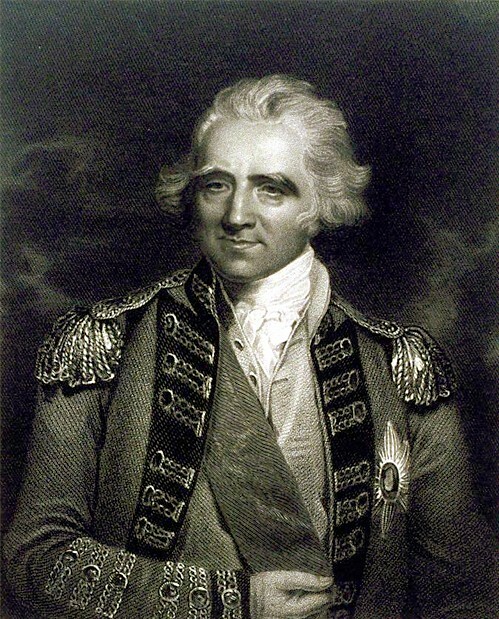 He returned to Britain in 1797 and was appointed a colonel in the Scot’s Greys, serving over the following years as Commander of British forces in Ireland and then Scotland, In 1801 he was appointed to command the British force sent to remove the French army from Egypt. 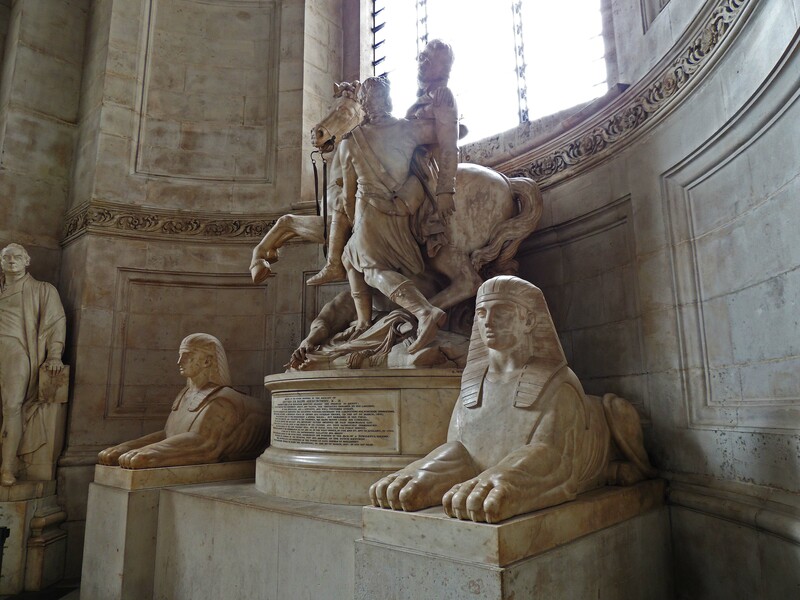 He was injured at the battle of Alexandria that same year and died 7 days later. His body was taken to Malta where it was buried. 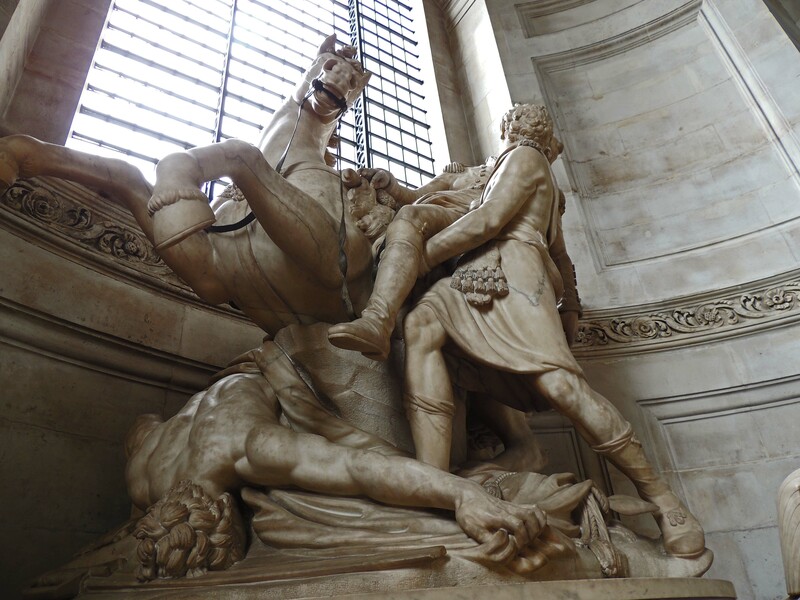 This monument to Sir Ralph Abercromby was erected in St Paul’s Cathedral in London by order of the House of Commons.